A central, core, important part of answering “who am I?”/“who are you?”, who you REALLY are at this time, to know yourself (know-thyself), is based on what you do. Intention is important to get to the result of right-action. Intention is not a justification for excusing a wrong-action, as if an action can be magically validated based on the intent you had at the time. Intention is not just thought, it’s desire, wish, want, and motivation, which is emotion as well. It’s thought and emotion in a feedback to process reality and find motivation to direct you towards an action. The road to hell is paved with good intentions. Poorly constructed thoughts, emotions, motivations or intents, can be very dangerous. Thinking we will do good works in the world by functioning from a simplified lower consciousness focus, will lead us to being misguided and lost. If we don’t elevate ourselves to a higher consciousness modality of thought, emotion and action, we are essentially condemning, insulting and offending ourselves through our ignorance. We need to return to the great potential that rests in our minds and our hearts to properly process our surroundings and act rightly. Intention needs to be a valid drive to manifest right-action in the world. Thought is the essence. That is where it starts. Where it ends is what matters, and that is our actions. Natural Law, Cause and Effect, provides a reciprocal feedback that ends with the results, the effect, not your best wishes and wants that drive you to create them, that is the starting point that needs to be properly evaluated internally in consciousness. Those who put intention of doing good above the actual action of doing good or not (like so-called “New Agers” and “spiritualists”), are deluding themselves about how to manifest reality. These types of weak-thinkers conclude that “the intention is what matters” “their ‘heart’ was in the ‘right’ place”, and other delusions they use to seek to justify the wrong-action of the people who create evil in this world. They also blindly believe in some oversimplified notion that “thoughts create reality” or“consciousness creates all of existence”, and “the ‘observer effect’ PROVES reality would not exist without consciousness”, when that is NOT the case at all! That is the infection of an imaginary belief construct that twists and corrupts they way someone perceives reality. For example, suppose there is some youth who wants to run for class president (to externally control others) because this has been conditioned into them as a “good” social thing to do. They have “good intentions”, but the result is same old system of control while others abdicate personal responsibility. The same with police, military and politicians. 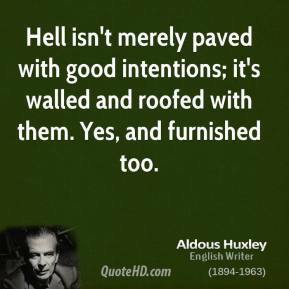 Does anything ever change from the “good intentions” of people who are mislead, fooled, duped, conned, tricked and bamboozled into thinking this is the good thing to do? Even if that’s what they think they are doing, an alleged “good”, the fact of them being ignorant and unaware of the true causes for repeating actions or a way of life — because they do not question and they accept things as they are because this is how it has been for them previously — is no reason to accept intention as the “most important” thing, when it’s the actual action that matters in the end. The intention/thought is where it starts. You need to be well equipped in understanding reality to maximize accurately choosing what to do, no matter your good intentions. That is why life is learning, and we are supposd to learn from our mistakes, not continually justify or excuse them! Some people are stuck in false reality boxes. They lack imagination and creativity to imagine a different life because their identity has become attached to grossly illusory false unrealities, and letting go of who they currently are to become something better, is hard to do. Change must be embraced, not stubborn dogma about maintaining illusions of the great way current models work and for their necessity to continue to exist in our world. We need to change from the inside, how we think and feel, to stop being deceived and deceiving ourselves. We judge, offend, insult and condemn ourselves by our very own actions! We are our own worst enemies! You have a thought, an intent, and you run with it without understanding what you are doing. 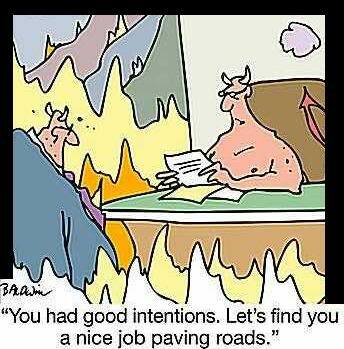 Paving the road to hell. The compromises are the sacrifice of truth for that intent. Then we create our own demons, shadow, darkness, negative and suffering, which is often to create immorality and evil into the world. 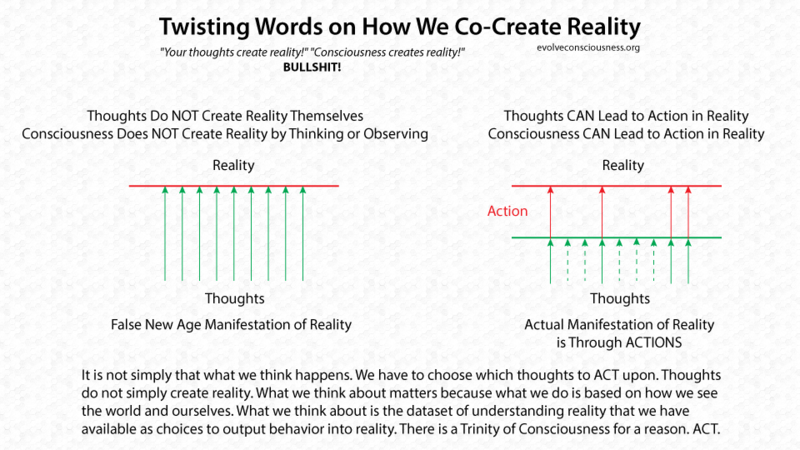 This is a major problem of consciousness, to invent and fabricatee beliefs that motivate us to act, and to justify them because of the pleasure-trap that they “feel-good”. I have work done on this that I can present later on, but for now be aware that belief and the pleasure trap are the central components to our self-created suffering from our desires and attachments. Thoughts matter, emotions matter, intentions matter, for they are the foundation to action. But in the end they pale in comparison to the resulting action that produces manifested results in the world, good or evil. 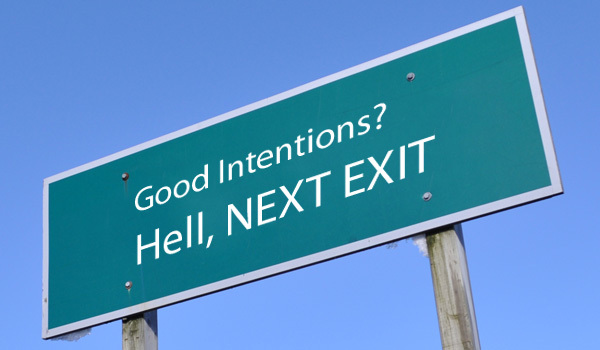 People like to use “intention” as a cop-out for the manifested results they produced. 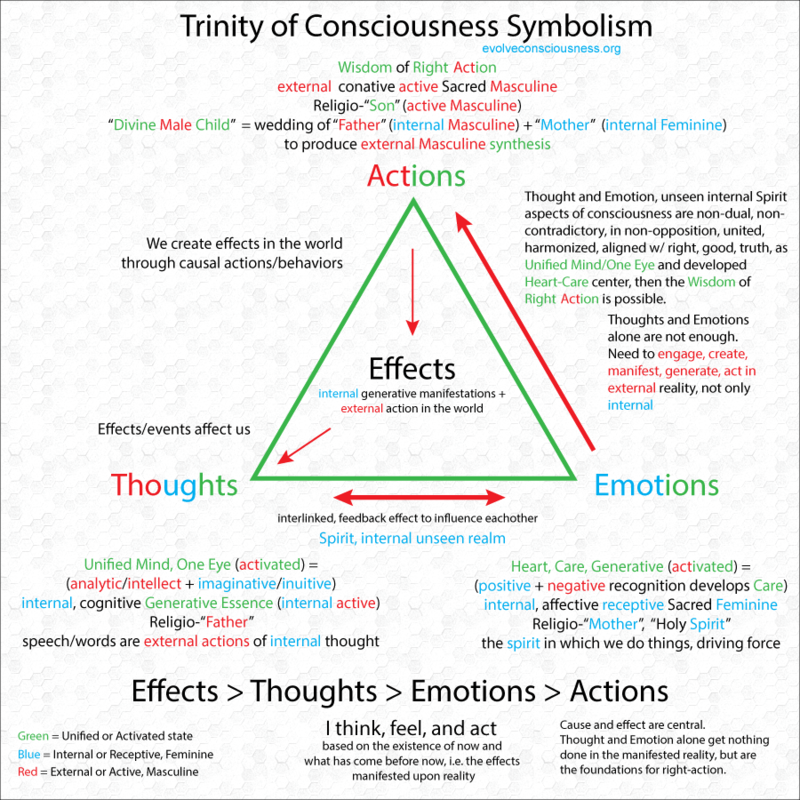 But the action was already done, their intent fooled them, misled them, because proper understanding of holistic aspects of consciousness were not in hand. The only good intention is one that aligns with right, accurate and correct thought based in truth and not erroneous beliefs. The thought that is actually right and not wrong, that will produce, create and manifest into right-action and not wrong-action. Then you have wisdom, because your thoughts are in alignment with what is right, good and true, with Moral Truth/Law, with a higher, truer, realer potential of your will-power and yourself, where your actions and behaviors will be that of right-action. Thank you for reading! Feedback is always welcome. What an excellent essay. Who are you that wrote it?